Automatic Hydroponic Fodder Sprouting Machine This automatic hydroponic fodder machine can grow sprouted grains to provide green fresh livestock feed. 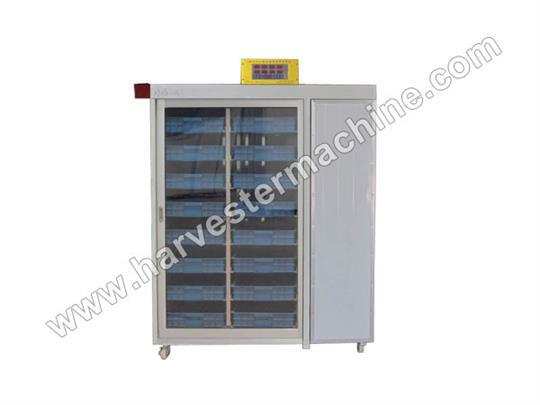 This sprouting machine uses automatic temperature control and automatic watering system, it can automatic produce seedling products, and short the growth cycle of sprouts. This kind of sprouting machine achieves the full automatic of producing process, its advantages are saving time, saving labor, low consumption, and no noise. Features of Fodder Sprouting Machine * Intelligent computer digital display, uses automatic temperature control and automatic watering system to control temperature and water spray time. * Hot insulation, built-in water tank, saving 60% water and energy. * All steel structure, durable steel plate, safe to transport. * Adopts the ozone sterilization technology, which can greatly avoid the bacterial infection. * The growth chambers are placed in isolation, no interfere with each other, easy to disinfect and clean. No reviews were found for Automatic Hydroponic Fodder Sprouting Machine. Be the first to review!